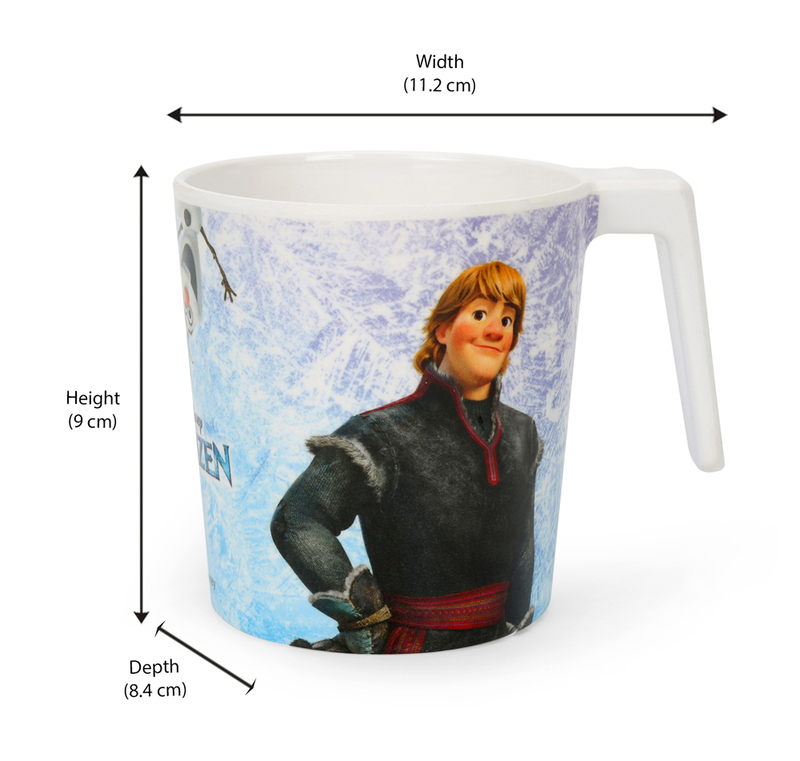 This Laura Frozen Large Mug is the perfect mug for your children. This trendy and stylish mug has a cute design of Frozen. This Frozen design is very beautiful and will make your child really happy. This large mug is sufficient to hold enough water. This mug is durable and has long life if handled with care. It is easy to clean this mug and maintain it as new. This mug is made of melamine which is does not break easily. This mug is 11 cm wide, 8.4 cm deep and 9 cm high. It is the favorite of all children and even adults can feel nostalgic with this mug, remembering their old childhood days. This melamine mug is not affected by water and it does not lose its beautiful Frozen design. This large mug will be a perfect gift for your child. This mug has an easy to grip handle making it convenient to use. This mug has the cutest design of Frozen making it very beautiful. The color of this mug is multicolor with white as the base color. Grab this amazing beauty which is available @home.